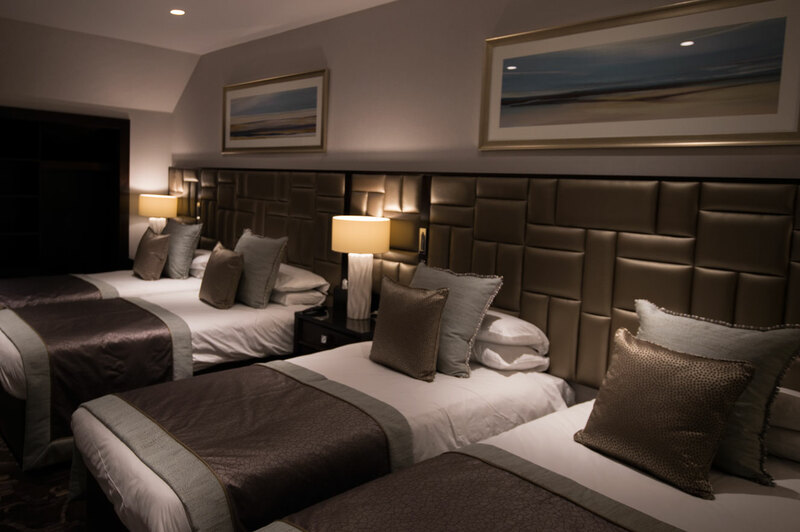 The Glenashdale Suite has been specifically designed for the bride and her nearest and dearest to spend the night before the wedding and get ready on the big day. Sleeping up to six guests the Glenashdale suite features a host of facilities to make your wedding day start the day before your wedding day! The large TV and movie surround sound system is perfect for a chick-flick marathon in the comfortable large lounge area which also features a dining area and bar. 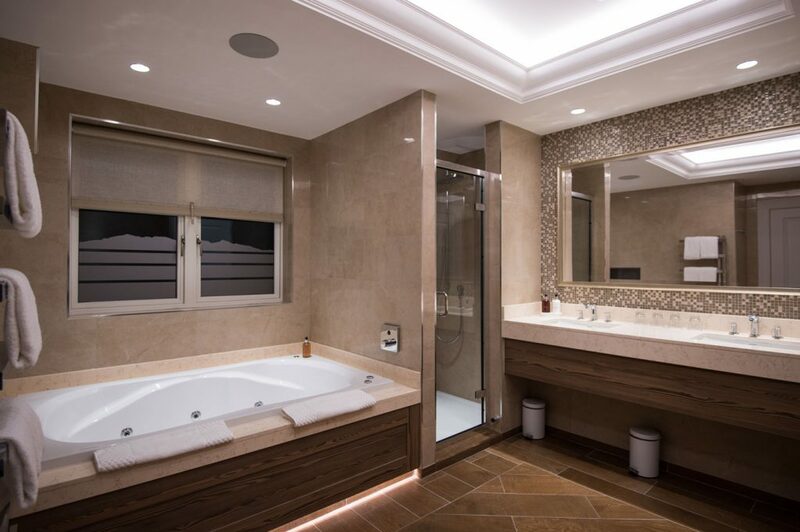 The large bathroom is dominated by the six person whirlpool bath with aqua-vision television, it also has a feature vanity, seating area and large shower. The Glenashdale Suite also features a further shower room and separate toilet. Watch as your guests arrive at the ceremony room, the TorryLinn Suite, using the live video feed to both of the suites television sets. 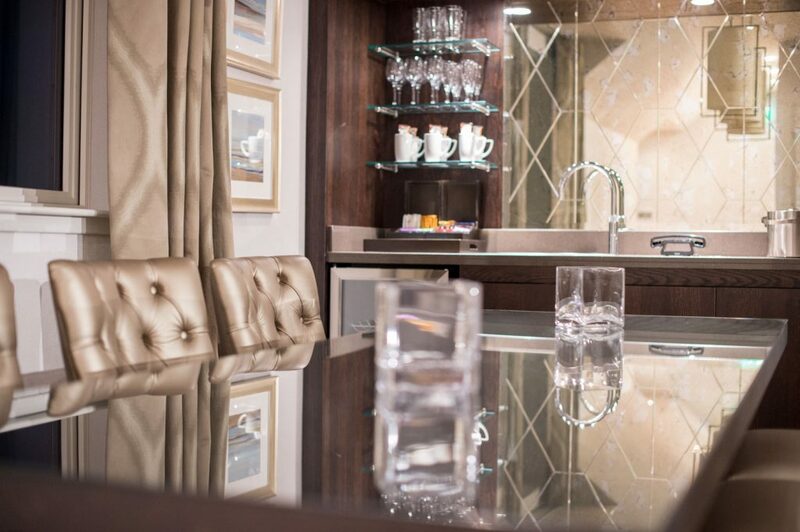 With a purpose designed area for your hair and make up and large walk in wardrobe, specifically designed for long gowns the Glenashdale Suite must be the most fabulous room in Scotland for a bride to get ready on her wedding day.